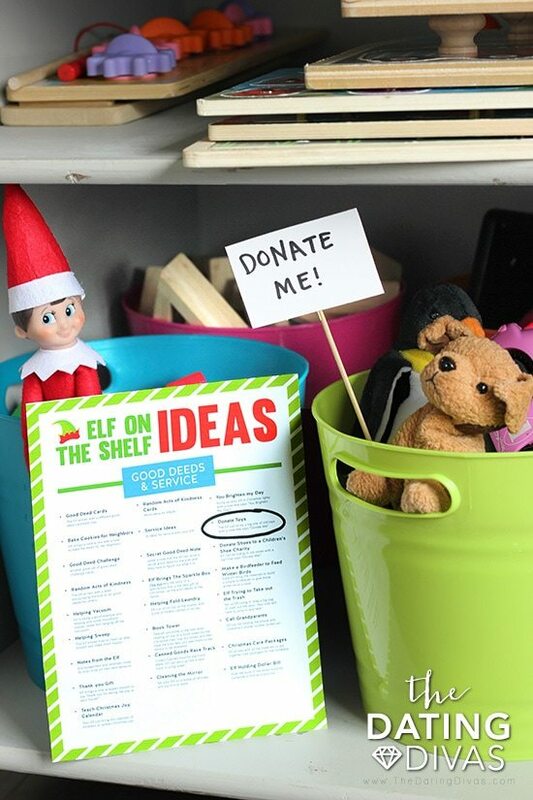 The Elf on the Shelf has become an adorable holiday tradition that adds magic and excitement to the Christmas season, as well as a little extra incentive for your kiddos to be on their best behavior. But with all of the other parties, baking, shopping, and decorating to do this time of year, moving the elf somewhere creative every night can seem like a hassle. 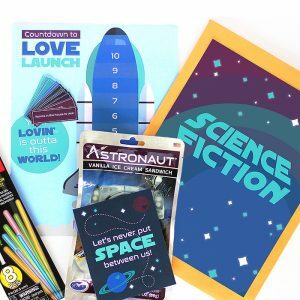 We’ve created kit full of Elf on the Shelf printables that will hopefully remove the headache and make your Elf tradition more simple and easy to pull off! My daughter is still a little young for an Elf in our house, but as a 2nd-grade teacher, we had an Elf visit our classroom. It was SO much fun, but it was a bit of extra work for me! I would have LOVED to have this Elf on the Shelf kit back then. One of our favorite talented graphic designers, Courtney from Paperelli created these darling elf-sized Elf On The Shelf printables that will make your kids giggle and squeal with Christmas excitement! 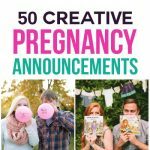 Thank you, Courtney, for your amazing work! 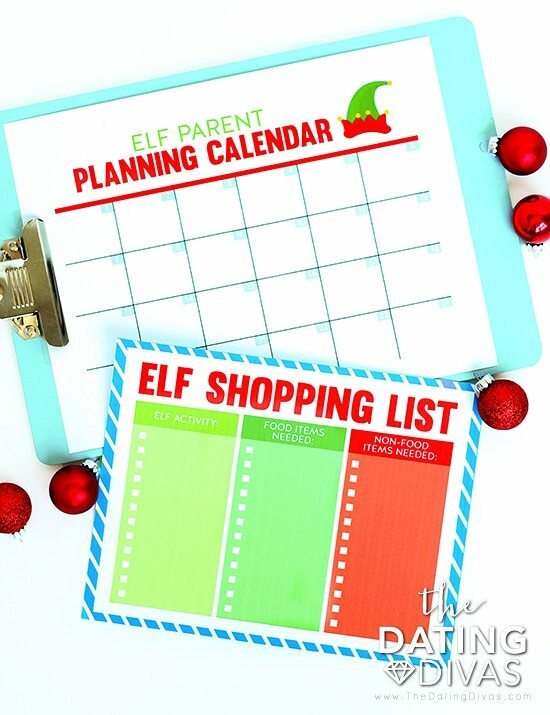 Parent Planning Printables – Calendar and shopping list to plan out your month of Elf on The Shelf ideas, headache-free. 150 Elf on the Shelf Ideas – Never be found frantically searching Pinterest at 11 pm for an elf idea again—the best ones are all right here! 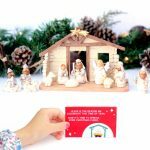 10 Mini-Sized Elf on the Shelf Printables – 10 fun little elf props to make your Elf’s hiding spot even more exciting! Making a plan for the whole month of Elf mischief will relieve TONS of stress throughout December. 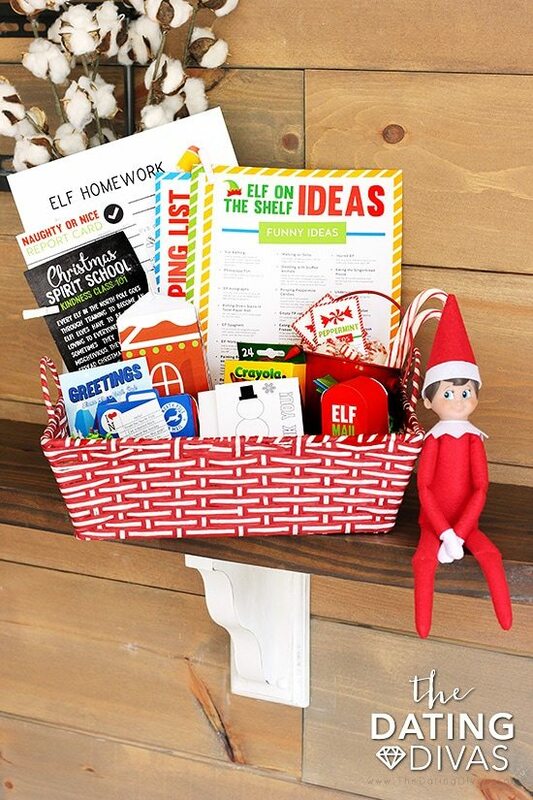 Pick your favorite Elf On The Shelf ideas and jot them down on the Elf Parent Planner Calendar. 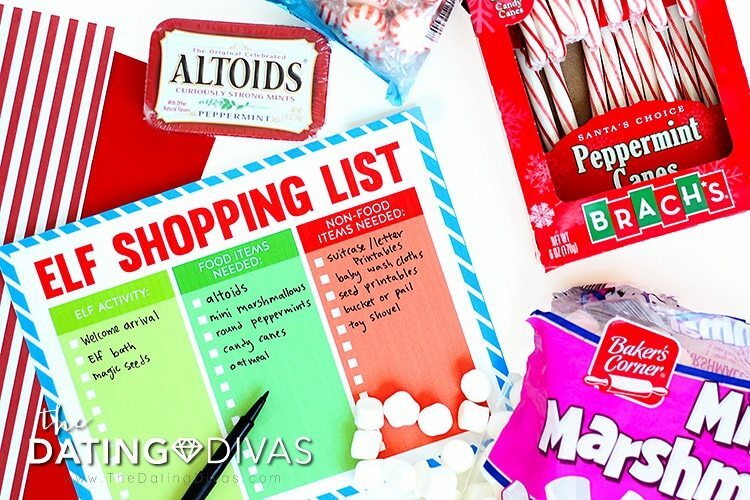 Then figure out all the supplies you will need as props, add them all to the Elf Shopping List and knock it out in ONE shopping trip! Guys, do the math, if you use these ideas for 25 days each December, this list could last you SIX YEARS of elf-ing! 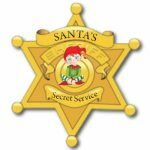 We have five different categories of Elf On The Shelf ideas: Quick and Easy Ideas, Ideas for Boys, Ideas for Girls, Ideas of Good Deeds and Service, and Funny Ideas. 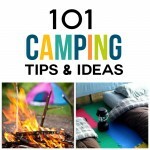 We’ve also included links to the ideas so you can view them on your computer and be taken right to the website for more ideas and details. And you may even find more Elf On The Shelf printables! 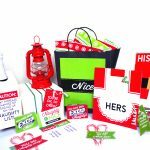 In addition to the HUGE list of Elf on the Shelf ideas in the previous section, our Christmas Elf kit comes with 10 printable props for your elf. 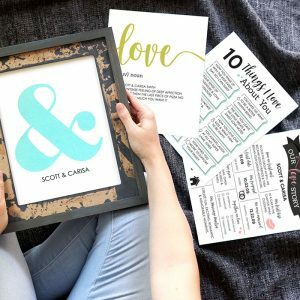 They are easy to put together, just print, cut and assemble! 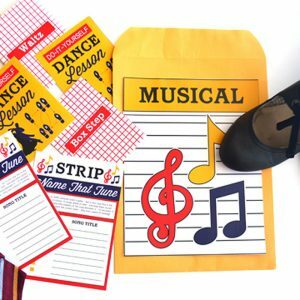 These Elf On The Shelf printables will add a little extra excitement to your Elf’s daily arrival and are sure to amp up the excitement for the kiddos. So I think it’s safe to say that if the Elf on the Shelf is part of your Christmas traditions, you pretty much need this kit, ASAP!! 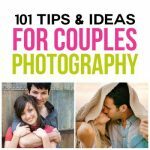 If you’re going to procrastinate, at least save it on Pinterest so you’ll have a go-to solution to save yourself! Our Elf On The Shelf Printables will save you stress, headache and work so you can more fully enjoy your children’s excitement and smiles as they discover their elf each day! Our Family Christmas Countdown is another fun tradition to make the holidays special! 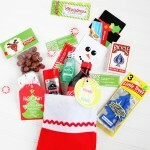 If you want more ways to make your Christmas planning stress-free and easy, check out our Ultimate Stocking Stuffer Kit! I’ve always shied away from doing Elf On The Shelf because it seemed like such a commitment, but this makes it a whole lot easier!! Hi there! Glad you love them (we do too!)! We’d love to have you sell for us! 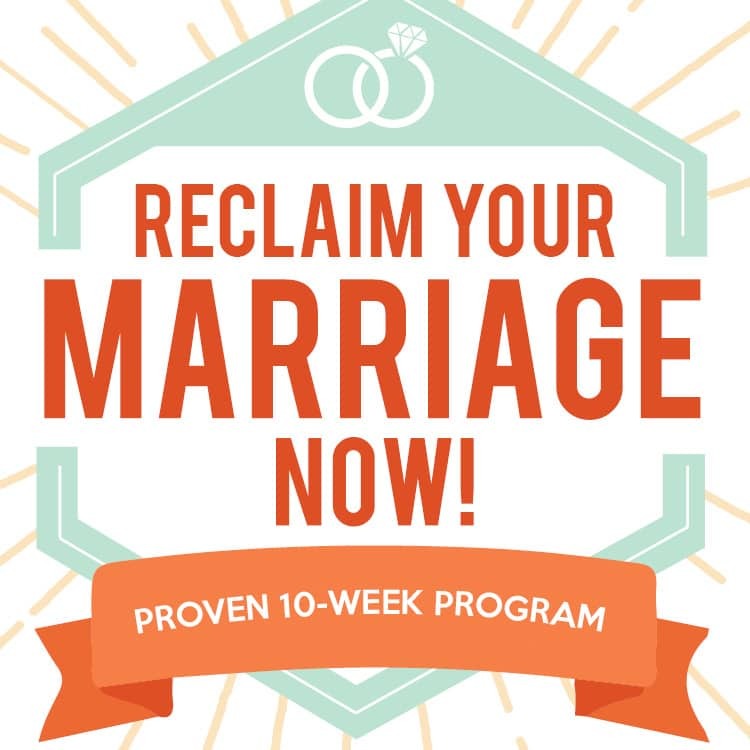 To check out our referral partner program, visit this link- https://www.thedatingdivas.com/become-an-affiliate/ Thanks!